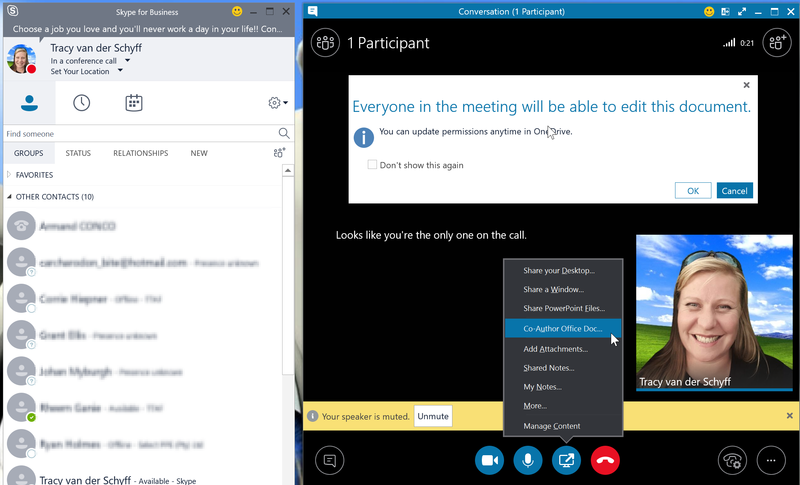 #Office365Challenge I still have a lot to say about Skype for Business. 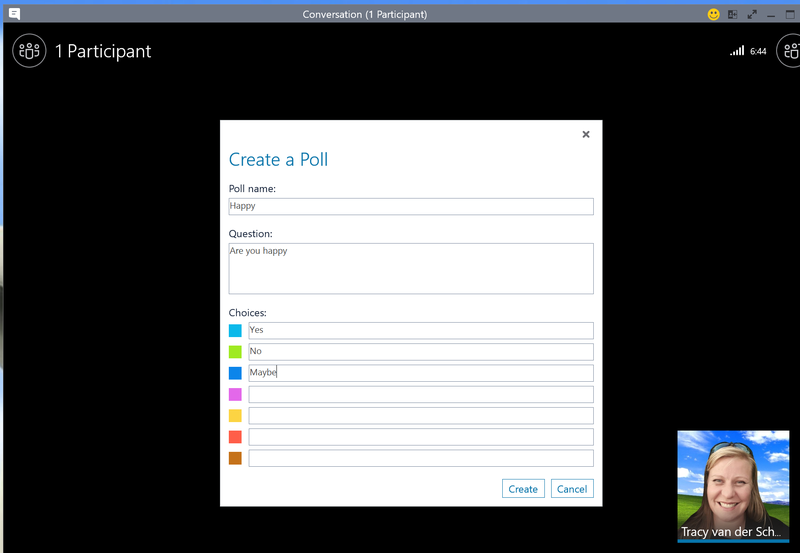 Today I’ll take your through Scheduling Meetings, Whiteboards, Co-authoring of documents, Polls, Q&A’s and the Meet Now functionality. 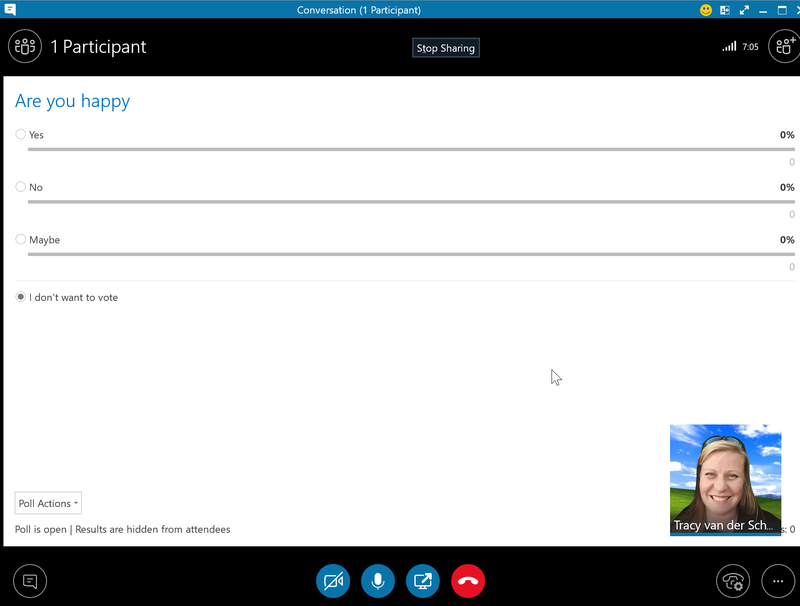 So far we’ve covered the menus, adding contacts, instant messaging, and video / audio calls. 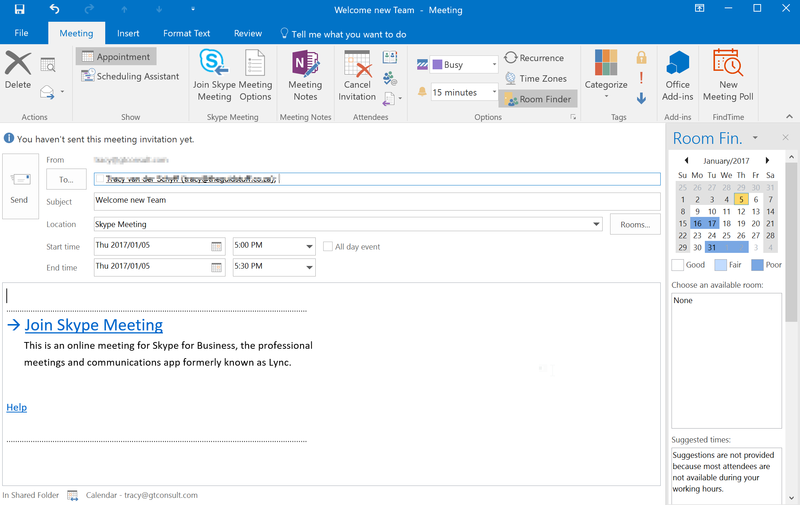 Let’s take a look at Meet Now, Polls, Q&A’s, Document Co-authoring, Whiteboards and Scheduling meetings from Outlook. 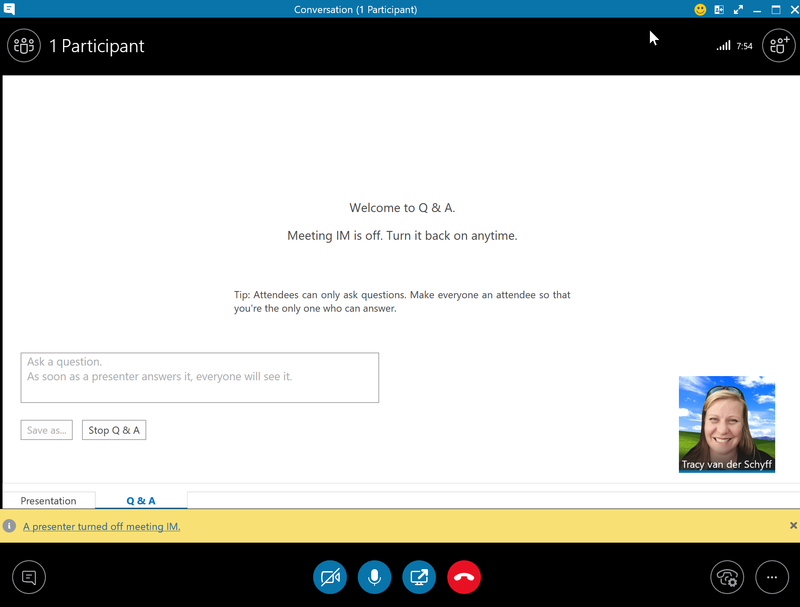 Meet Now can be used to setup everything for your meeting, before you invite the attendees. The meeting will now start with you as the only participant. 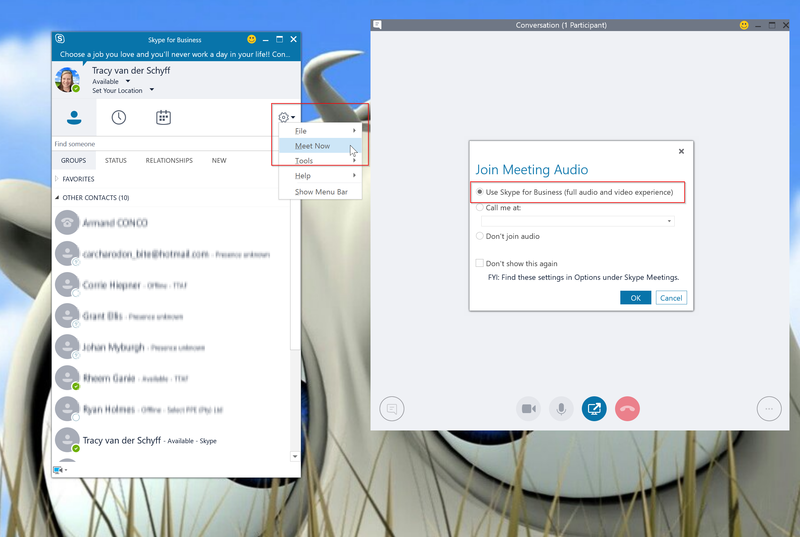 Note: Once you’ve setup everything and you’re ready for your meeting – click on the “Invite more People” button in the top right corner next to the time duration. 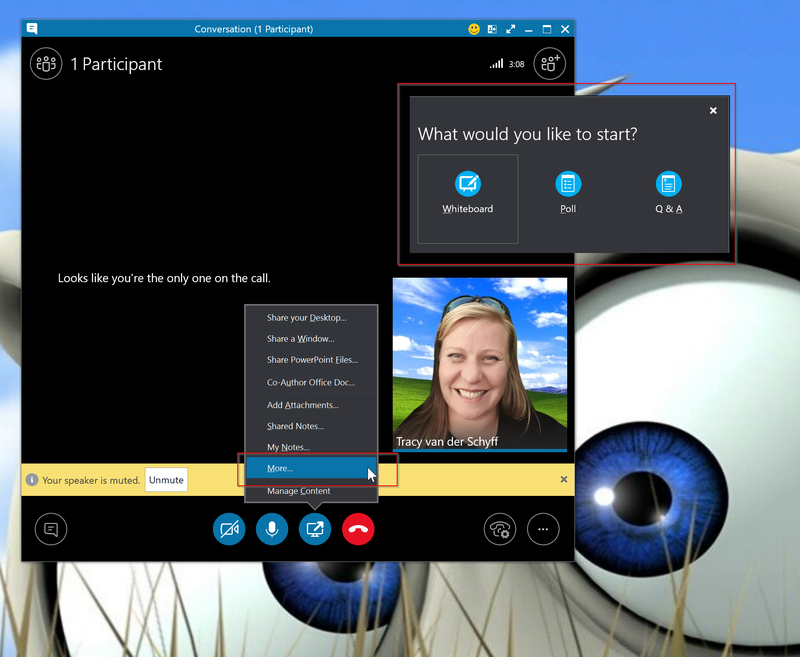 I’ve been using Skype for years – and believe me – I’ve learnt a couple of things over the last view days. 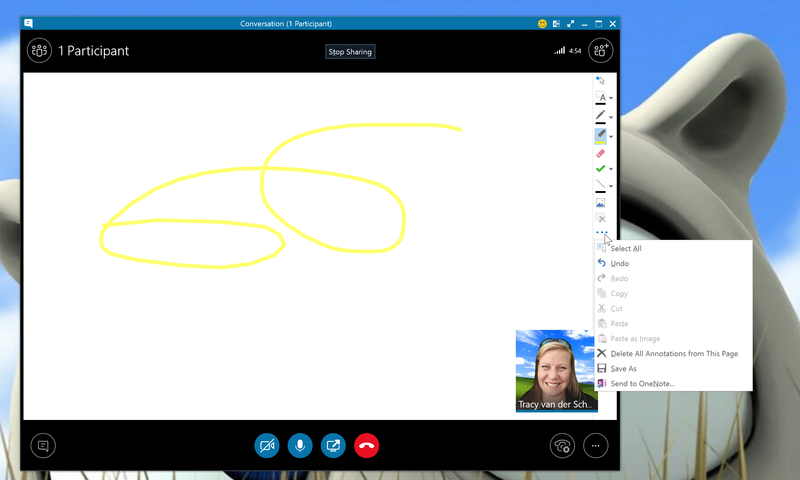 Wow – love the whiteboard :-).